Our employment team at Sarrail, Castillo & Hall, LLP has represented a broad spectrum of clients in employment law matters. We understand that losing your job as a result of wrongful termination or layoff can be extremely stressful and disruptive. Workplace legal disputes can be scary and lonely, regardless of your position or degree of fault. At Sarrail, Castillo & Hall, LLP, we strive to make stressful situations like job loss and employee conflict manageable by resolving any legal loose ends and providing sensible, pragmatic advice to help you get back to business as usual. We cover employment law throughout the whole of the San Francisco Bay Area, including San Mateo, Oakland, Alameda County, San Jose and Santa Clara. Contact Sarrail, Castillo & Hall, LLP online or call us at 650-513-8899 for a consultation on any aspect of employment law.  Our Burlingame offices are easily accessible, and we are happy to schedule appointments outside of normal business hours.